Motor oil is what protects your vehicle’s engine from damage, so that it can run well for a long time. If the engine isn’t working properly, then you run the risk of being stranded in Arlington, Fort Worth, Irving, or Dallas. That’s why you need clean engine oil for your car. 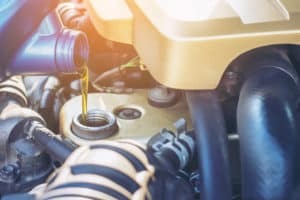 We’ll tell you all about the importance of oil changes below, as well as signs that one is needed as soon as possible. 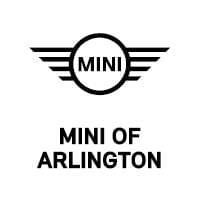 Read through our informative guide, then contact MINI of Arlington to schedule an oil change near you. There are many reasons why oil changes are so important. First, they keep the engine’s components lubricated and cool. An engine is made up of pistons, valves, and many other moving parts. Since these parts move at such a high speed, they create friction, which generates heat. When the parts aren’t properly lubricated, they’ll create too much friction and can overheat the engine, resulting in possible engine failure. A poorly lubricated engine can also lead to increased fuel consumption. But, if you get regular oil changes, you can improve gas mileage by 1-2% over time. It’s recommended to get an oil change every 5,000 to 7,500 miles. However, some vehicles can go as long as 10,000 miles before needing one. It all depends on what model you have and what type of oil your automobile uses. Dark and gritty oil: Fresh oil is transparent and honey brown in color. Over time, the oil will pick up dirt and debris, causing it to turn black and become gritty. When that happens, the oil can no longer lubricate the engine’s moving parts. Loud engine noises: When the engine isn’t lubricated, its components will start grinding against each other. That metal-on-metal contact will cause you to hear loud knocking sounds from the engine. Oil smell in the cabin: If you smell oil inside your car, there may a leak. If you smell gas or exhaust fumes on top of that, then your vehicle may be overheating. 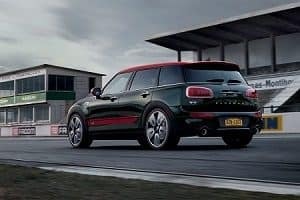 If you think an oil change is needed for your MINI Cooper, then don’t wait. Schedule an oil change right away at MINI of Arlington. Our team will get to work and have you back on the roads of Arlington, Fort Worth, Irving, and Dallas in no time.